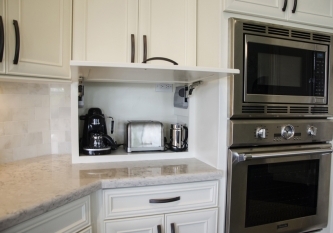 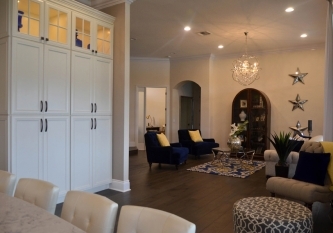 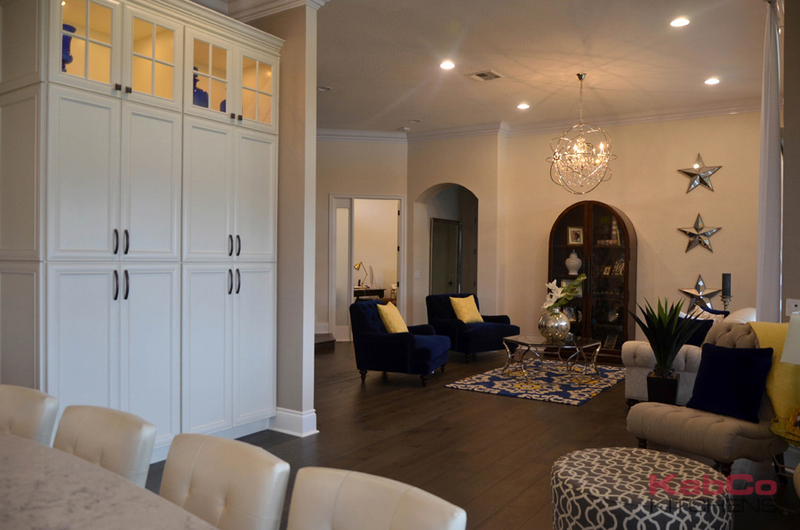 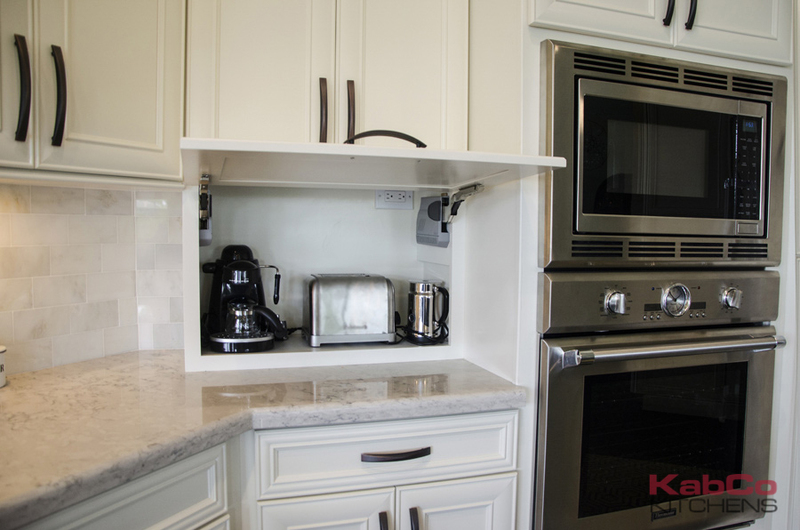 This grand South Florida interior was embellished with off-white painted custom cabinetry. 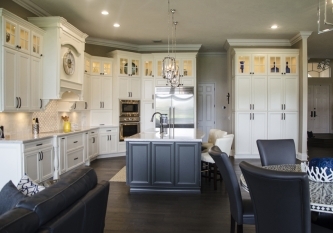 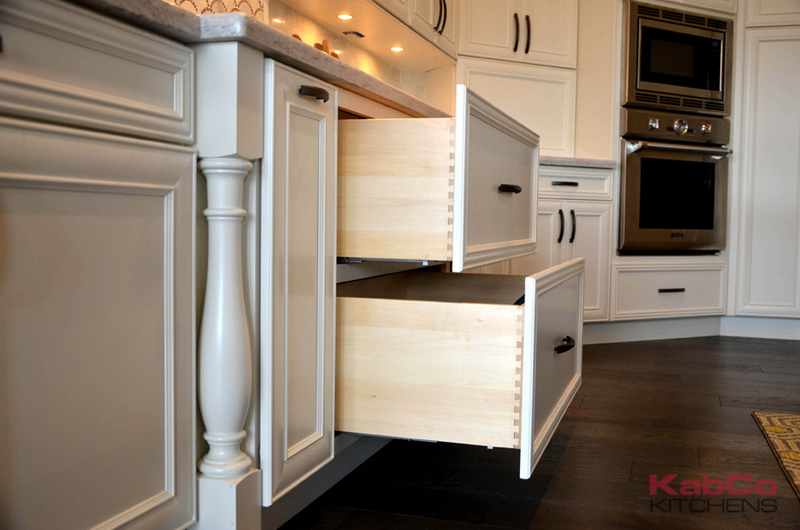 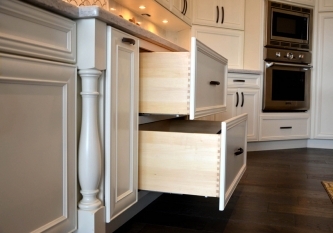 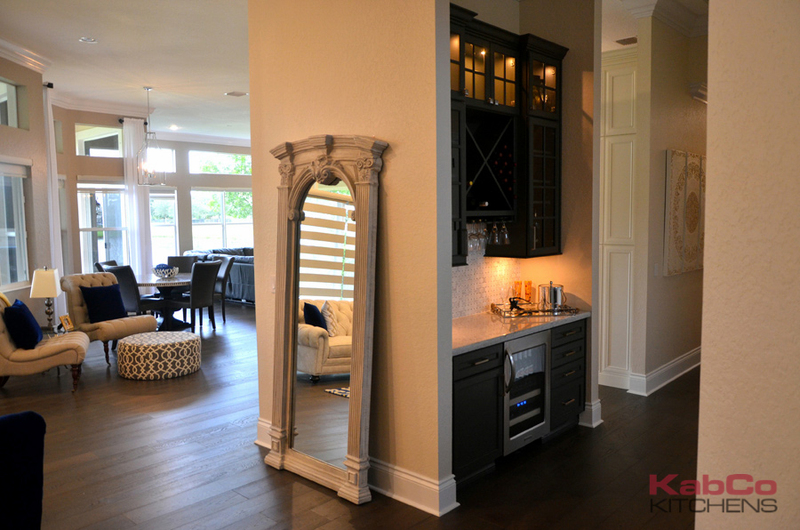 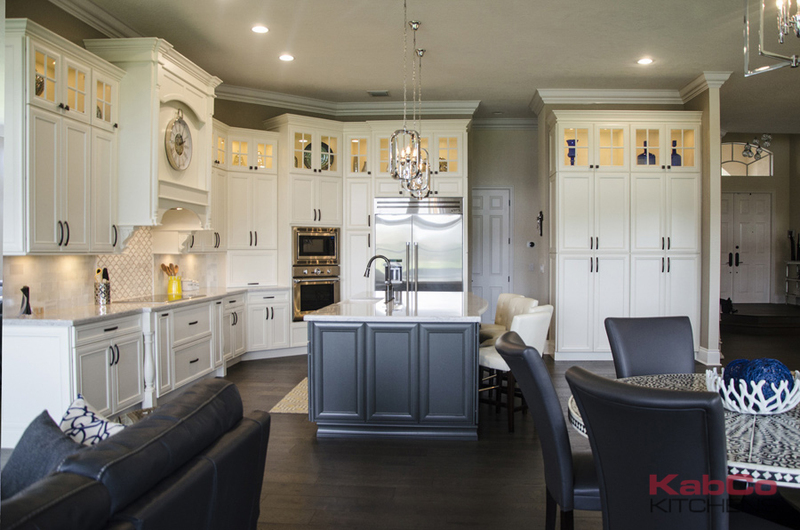 The stacked cabinets throughout the kitchen feature glass mullion doors. 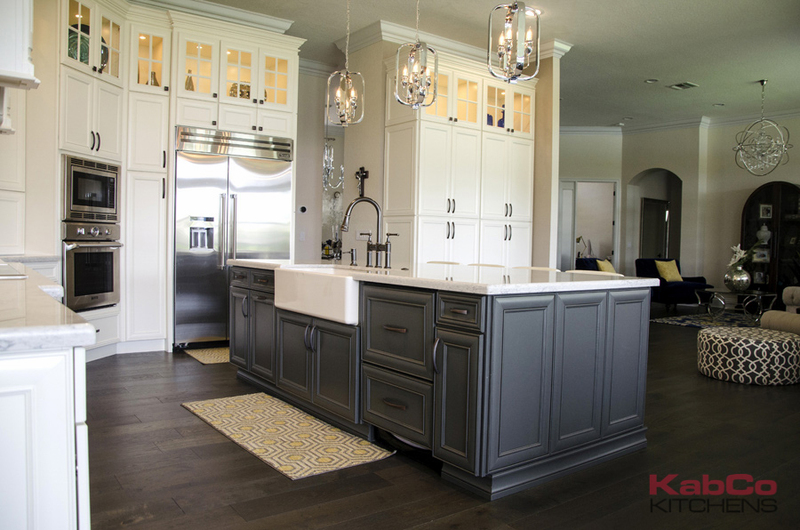 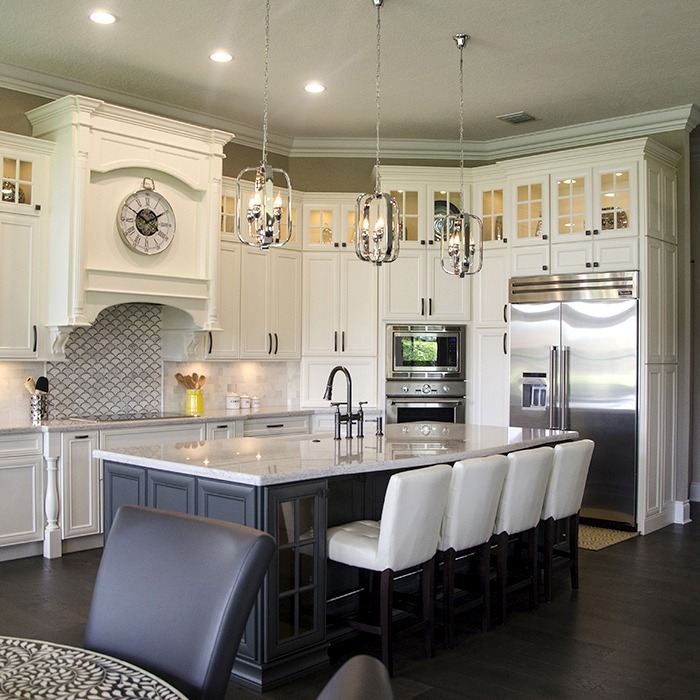 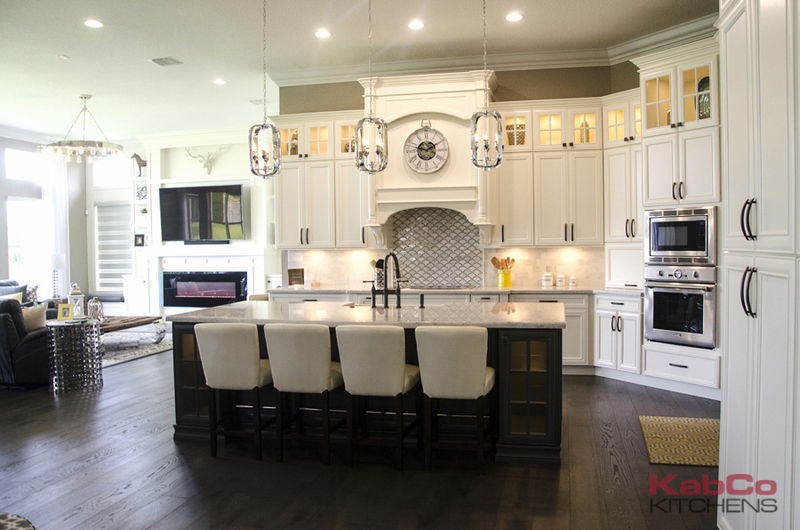 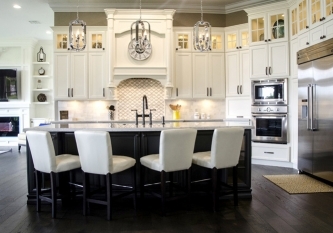 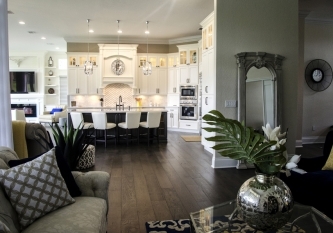 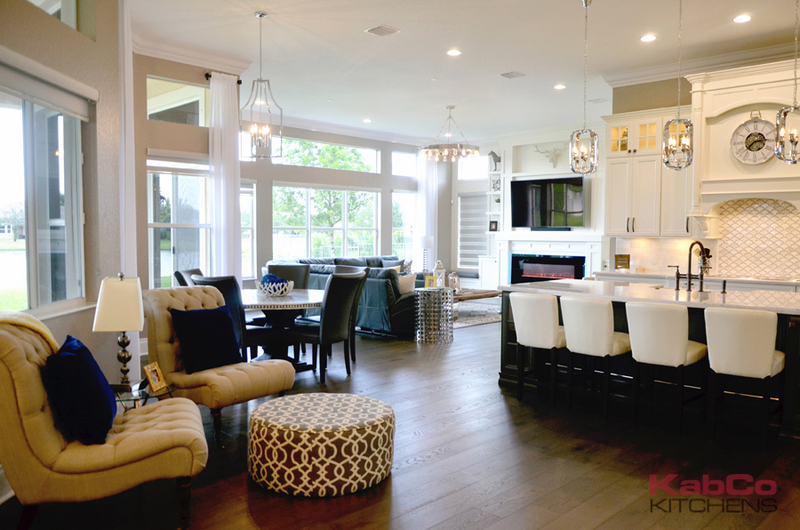 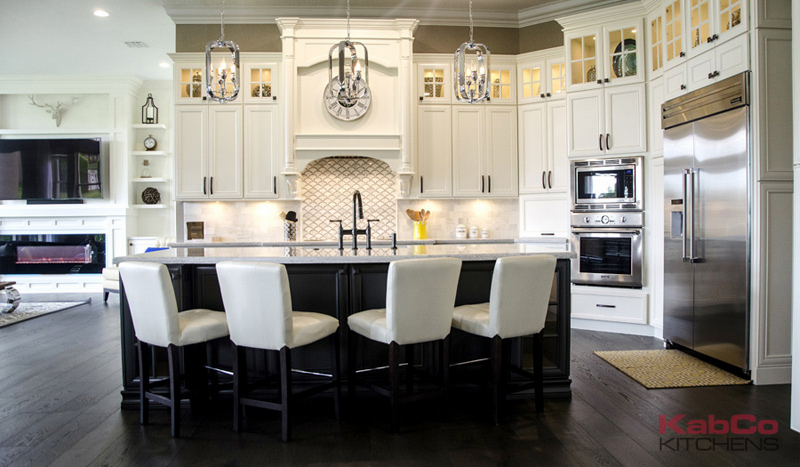 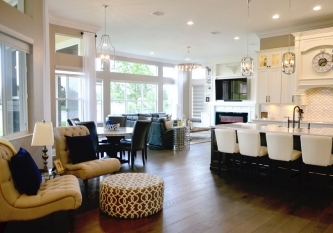 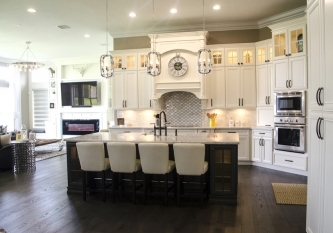 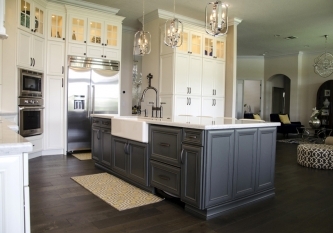 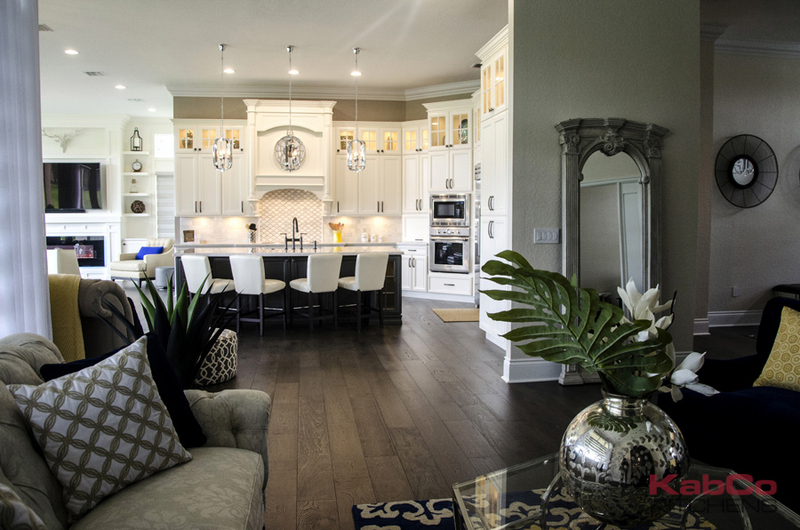 In the center a 9′ island provides expansive counter space and plenty of seating in a contrasting grey painted finish. 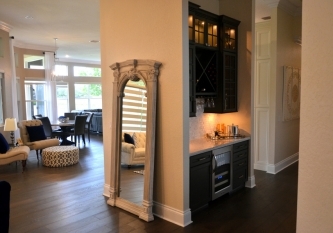 Beautiful oil-rubbed fixtures add a timeless look. 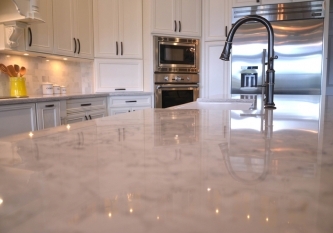 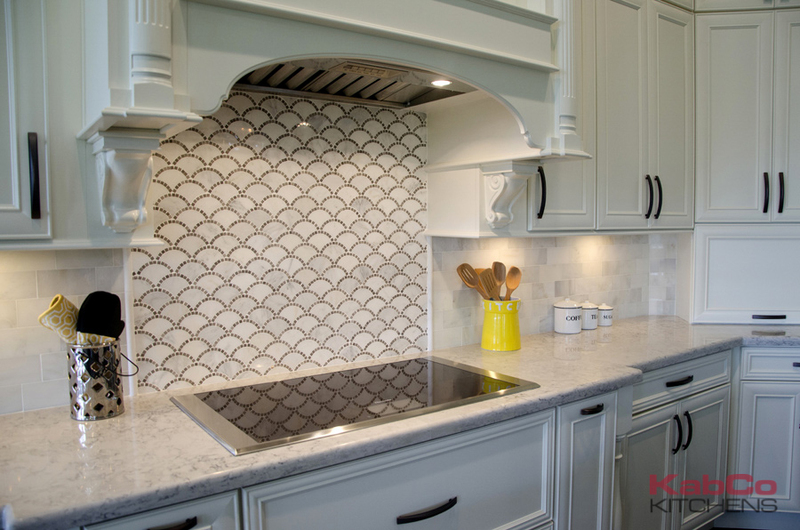 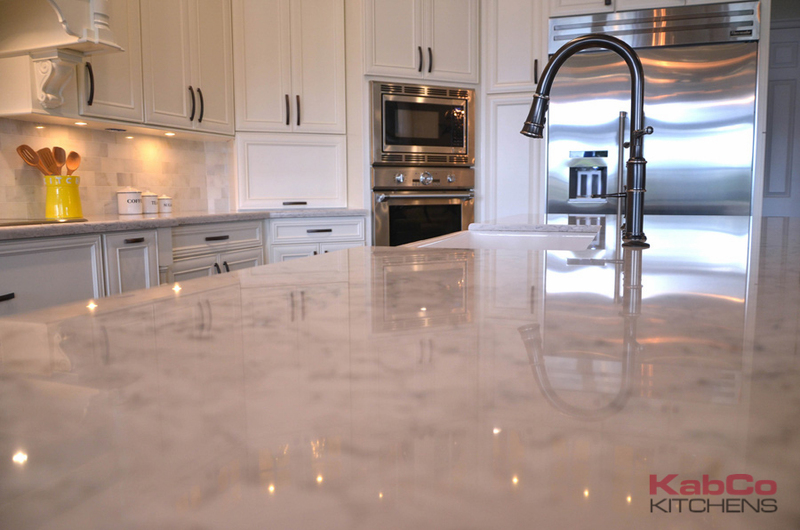 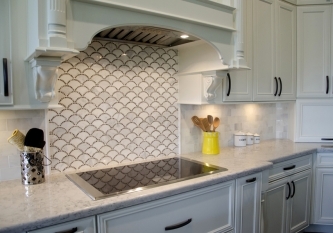 The Quartz counters by Silestone mimic marble while providing the ultimate antimicrobial kitchen surface. 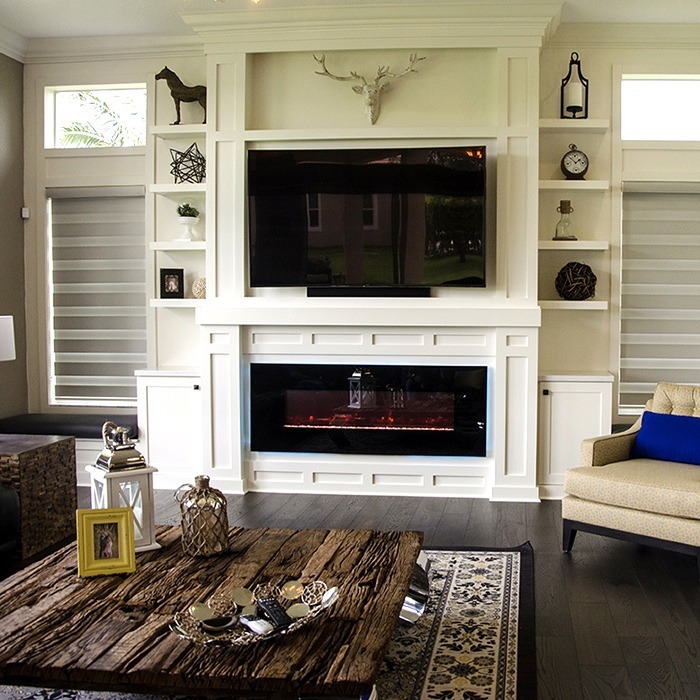 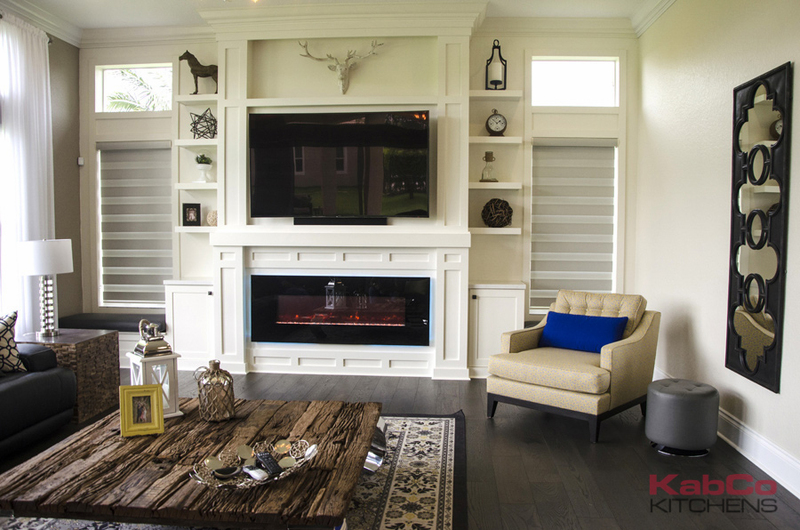 Off to the left, additional wood work was hand crafted to incorporate entertainment and an electric fireplace. 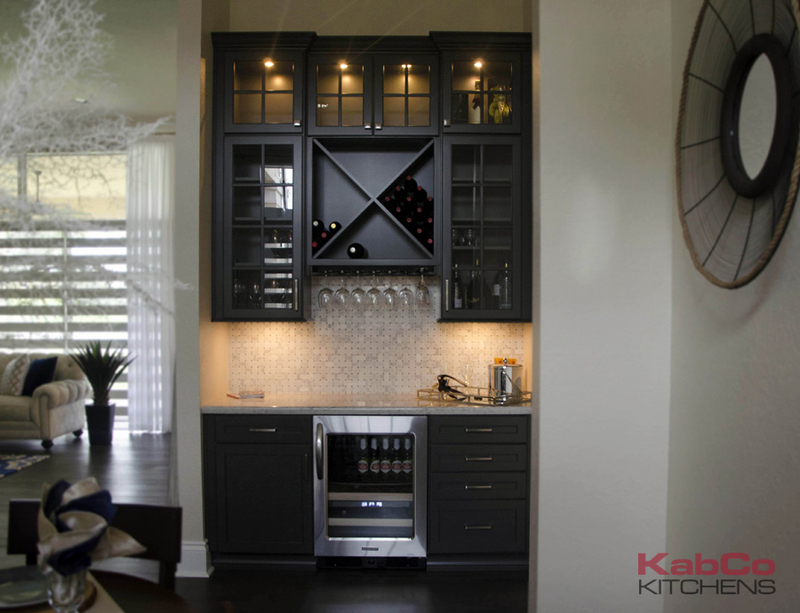 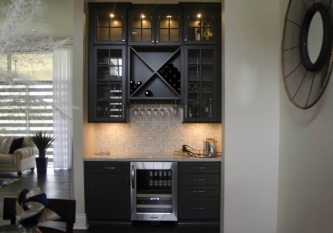 Around the corner, a home bar in a similar grey painted finish was installed completing this expansive remodel.